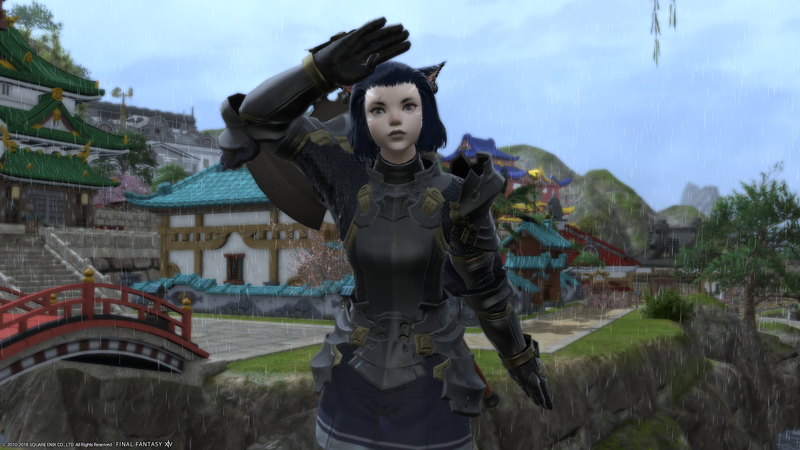 The release of new player housing in Final Fantasy XIV has traditionally meant a mad dash for sparse land followed by angry forum posts about how bad the housing system is. Thanks to new guidelines and restrictions limiting the amount of land players can own, today’s land expansion went relatively smoothly. Previously, when new housing plots were added to Final Fantasy XIV, they’d all go on sale at once. Players would flood the servers, causing all sorts of frustrating queues and congestion. The lack of limits on purchasable plots led to things like obscenely rich players buying up complete housing districts for their personal use, flippers buying plots for resale at a premium to players who couldn’t get online in time, and an overall difficulty for anyone but the most well-prepared buyer getting a house at all. But this morning’s release of 1,440 new plots spread across six new districts in the game’s four housing regions came with new rules and restrictions. Players are now limited to owning one plot of land for personal use and one plot for their Free Company (guild). Free Companies of four players or more are also limited to one plot of land, so if a player is in a Free Company that owns a plot, they can’t buy another in that Free Company’s name. To limit plot flipping (buying a plot and reselling it for a profit), land relinquished by its owner is now unavailable for purchase for a period of time. The downside is that purchase of housing plots is currently restricted to Free Companies. Individuals looking to pick up a small plot for personal use, such as myself, have to wait for an unspecified period before being able to drop a cool three million Gil (in-game currency) on a place to call their own. I get the reasoning—Free Company houses are places for players to come together and commune, and they generally have private rooms players can purchase if they need their own space. Still, I can’t help but be a little frustrated, clicking on a For Sale sign and being told I don’t qualify. This is supposed to be a fantasy world. But overall the new land release has gone very smoothly. As of right now, hours after servers went up and new plots went on sale, there are still tons of small housing plots available and not a few mediums, even in the more popular districts. Hopefully they’ll still be around when the private purchase embargo drops. I’ve got furniture looking for a place to furnish.